First things first, while many of us label our skin as "sensitive," that's not always the case. With so many products tailored to sensitive skin types, it's easy to guess you're the perfect candidate to use them: My skin is dry and itchy, so I should use these special products. However, Kerry Benjamin, a licensed esthetician and skincare expert, tells us the exact opposite. "Most people think their skin is sensitive, and most are wrong," she explains. "It's hardier than you think. Unless you have a substantial reaction to certain ingredients or a pre-existing condition like rosacea, chances are your skin isn't really sensitive." But when the skin's barrier is damaged (read: dry, cracked, and flaky), irritants are better able to seep in and cause that stinging, itchy sensation, so all skin types can experience sensitivity if skin isn't properly hydrated. Now that we're on the brink of winter, we went on the hunt for the best moisturizer to keep that barrier intact, especially for those who are easily affected by fragrances, allergens, and otherwise redness-inducing formulas. There's nothing worse than trying to hydrate dry, parched skin only to have a negative reaction, so we polled a few dermatologists for their favorite moisturizers for sensitive skin. The answer was unanimous. 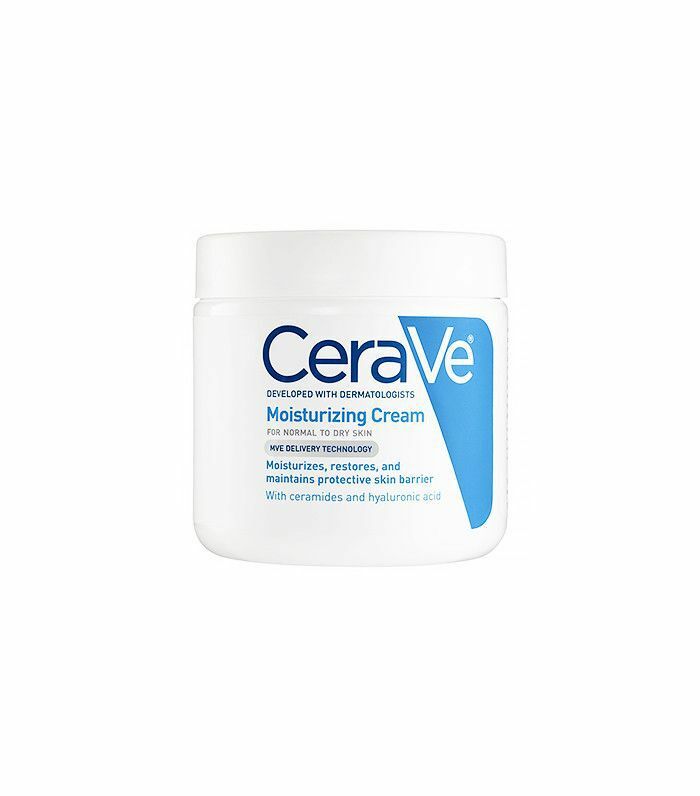 "An excellent choice for even the most sensitive of faces is CeraVe Cream, which helps to maintain the skin barrier without clogging pores," says Michele J Farber, MD, of Schweiger Dermatology Group in NYC. "Thicker moisturizers such as creams, rather than lotions, are best for sensitive skin as these are more hydrating when skin is dry. Look for ingredients such as ceramides, dimethicone, and hyaluronic acid which can help to lock in moisture in a gentle way." Mara Weinstein, MD, FAAD, agrees: "Ceramide-containing moisturizers are the best because they help replenish the skin barrier. CeraVe is a great example of something simple and over-the-counter to use with your retinol at night or as an added layer of moisture in the morning before your SPF." Just remember to use retinol sparingly throughout the week (try three days a week) as it can easily aggravate the skin if used too often. If you want a formula that's a bit lighter, Farber suggests trying EltaMD Therapy Moisturizer ($19), which has niacinamide and antioxidants to help reduce redness. Or try Weinstein's runner-up pick, Revision Hydrating Serum ($42): "It contains hyaluronic acid, a natural moisturizer, which goes on smoothly, and it is great to have in your purse for touch-ups during the day, especially during the winter months." In general, it's important to read labels when searching for skincare for sensitive skin and to use Weinstein's rule of thumb: "The fewer the ingredients, the better." She recommends steering clear of tea tree oil, lavender, honey, beeswax, and lanolin—all ingredients that can lead to contact allergies/rashes in sensitive skin. She also says that generally, acne-prone skin is sensitive skin, so avoid pore-clogging ingredients like petroleum and oils and choose "water-based" formulas instead. Next up, check out these amazing makeup products for sensitive skin.